Melissa Johnson’s ecom cash code review; legit or scam? Can you become a million by using a simple code online? Well this is the claim made by the owner of the ecom dash code program(CashCodeSecret.com). According to the ad currently displayed online, Melissa Johnson filled out a simple form to join the ecom cash code program. They say she only had to pay a little fee to join. According to this ad, Melissa was able to make 12,500 to 13,500 in a very short time every month. They even show a check, dated 25/JUN/2014. In this check, Melissa Johnson made $8795 working for the Amazon services LLC. They try to make all this look easy and genuine but it is not. I have been reviewing work from home programs and this same check has been used for more that 20 work home scams that I can list. 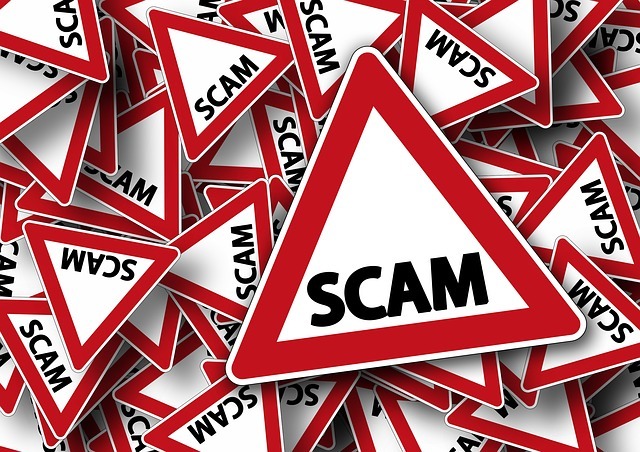 Some of these scams are, Melissa Johnson’s WAH program, Melissa Johnson’s computer colleagues program and Melissa Johnson’s online technology program. When I heard this in the video, it made me laugh. I have been doing online marketing for so many years and I have never heard of such a thing. I know it might sound amazing to a new comer but do not be fooled. There is no such thing. As a matter of fact, when you enter your email address and click through to the checkout page, you will get a very generic looking page. No where on this page will you see the name of “Ecom Cash Code”. This whole system is a scam. You cannot be sure what you are buying into. Ecom cash code is supposedly owned by a certain Teo Vee. According to this person, he met a guy in a chat room who showed him a code that will make him money every time someone purchased something online. Imagine that! You get to make money off other people. Even if this was true, it will still be unethical. What he is trying to claim sounds some what like Affiliate marketing. If he is talking about affiliate marketing, then he is intentionally misleading his members. I have been doing affiliate marketing online for a long time now. It is not easy and there is no simple code that will help you make money from other people’s purchases. Affiliate marketing is a marketing techniques where you apply to an affiliate program like the Amazon affiliate program, in order to promote their products. 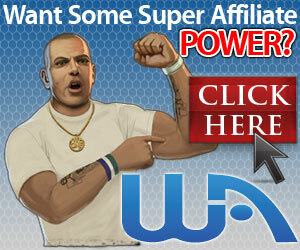 If your application is approved, you will get access to affiliate links for a variety of products. You can post these links on your website and your social media pages. If someone come to your website or one of your social media pages and click on this link, it will take them back to Amazon where they can view this item. If they like what they see and buy it, you will get commission for that sale. Statistic show that for every 100 clicks, only 2-5 leads to a sale. So affiliate marketing is not that easy. You can’t become rich over night. He makes it sound easy but that is not the reality. He claims the reverse; instead of getting a link and placing it in your website (affiliate marketing), you get a code and plug it in to a site like Amazon instead. How is that possible? Amazon won’t let people to mess with their website like that. All the testimonials for this program are fake. I have seen those exact testimonials on several well know scam sites before. The images are stock photos obtained from online image sites like pixabay. On many scam sites, these images are tied to the exact same testimonials. They don’t even bother to mix it up a little. If they can’t put in the effort to make their different programs unique, they won’t even bother to teach you anything worth while. They are just interested in your money. Once you start paying, they will find ways to squeeze even more out of you. Yes, he rubs it in your face and tell you how easy it will be to use but leaves you in the dark with no idea how to use it. Yes, you just plug in the code online and follow sales from website to website to make money. But how exactly do you plugin the code? How do you follow it online? If it really makes you money, how the hell do you cash it? Yikes! more questions with no answers. Big red flag there. Ecom cash code looks more and more like my ecom club in disguise. My ecom club is a program that teaches people how to drop ship especially from Aliexpress via E bay. This program is also owned by Teo Vee and is legit because it teaches real eCommerce techniques. The problem is the way it is advertised. It is good to let people know what they will be doing up front. If you don’t and people find out that you say one thing when it is actually another, they start thinking you are a scammer. That said, I can’t vouch for the ecom cash code program. I still believe this particular program is fishy. If you want to start an online business, try wealthy affiliate’s free starter membership to learn the basics.This is our top ranking work from home program. What you see is what you get. Click here to join. If you want a traditional work from home job, click here for a list of the top 100 legit ones. Denise, can you recommend any legit work at home online programs. Yes I can. If you are looking for a traditional work from home program, where you will be paid for doing a job, click here for a list of the top 100 legit ones. If on the other hand, you want to learn how to start your own business online, click here to create your free account and start. Thank you very much for your reviews on this. I see this type of scam crop up all over and its good to know what is misleading and what is a legitimate way to work at home over the internet. You’re welcome Mark. These scammers are very active this time of the year. One needs to be careful. Thank you, Denise, for your honesty and insight. I recently had to leave my full time job in order to care for my elderly parents and have been seeking a way to supplement that loss by working from home. I discovered the advertisement for Ecom Cash Code and was seriously considering checking it out when I came across your review. Again thank you, you’re news letter stopped me from making that mistake. Especially now, when I really can’t afford to be ripped off.